Across industries that have been gold mines for AI investments are automated threat intelligence, automated customer services agent and fraud detection. As per Jessica Goepfert, program director, Customer Insights and Analysis at IDC “Near-term opportunities for cognitive systems are in industries such as banking, securities and investments, and manufacturing….In these segments, we find a wealth of unstructured data, a desire to harness insights from this information, and an openness to innovative technologies”. 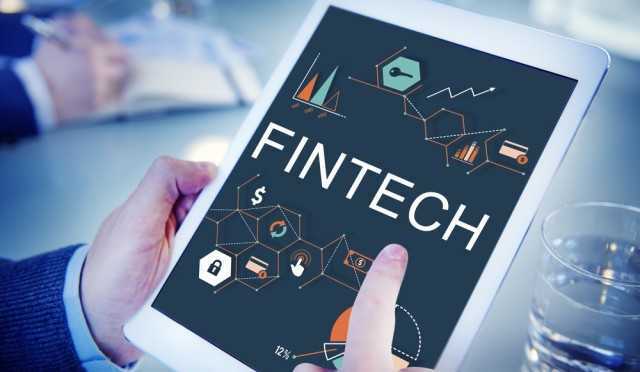 Fintech has witnessed a staggering growth in investments world over, with the growth of over 10% to a whopping $23.2 billion- US and China leading the market. This boost is powered by growing capabilities of AI and machine learning. As AI has already achieved much in retail, healthcare, trading etc. – it is safe to say that AI will achieve great things in Finance. A study by Oxford university state that robots will replace approximately 47% of US jobs in the next 10-20 years. The goal, however, is not to put American workers out of work, but about the improved efficiency that having a robot doing clinical work brings in. Therefore, a skilled employee can focus on a more important task. By eliminating monotonous tasks that take way too much time from an employee’s day, organizations can better use their employee’s time and skills for more important tasks. Along with giving employees the opportunity to work on more important tasks, Artificial Intelligence also offers elimination of error in tasks, which is often associated with manual and repetitive tasks. Poor customer service seems to be one of the main complains by customers regardless of the industry. Ironically, customers seem to be frustrated with not being able to talk to a human, and stuck with an automated system. Machine learning application though, has the ability to learn an individual user’s requirements by examining their account activity and assisting the customer with a better product selection offered by BFSI companies. Sophisticated language parsing enables today’s AI chatbots and virtual agents to provide more realistic text-to-voice systems (that provide real-value)- making the phone / chat systems customer friendly. This provides companies a cost-efficient solution for customer service issues. Wells Fargo, the American International American international banking and financial company uses a chatbot for assisting its customers in doing small tasks like taking their account information and helping them reset their passwords. “AI technology allows us to take an experience that would have required our customers to navigate through several pages on our website and turn it into a simple conversation in a chat environment. That’s a huge time-saving convenience for busy customers who are already frequent users of Messenger” commented Steve Ellis, Head of Wells Fargo’s Innovation Group. Other than customer engagement, chatbots are also used by investment service companies as stock market assistants to enable users to stay on top of the market with real-time information on stock prices (and other insights like news) of diverse candidate companies to assist them in investment decisions. For e.g. Intelegain powered Moneypot.in, a virtual stock simulation platform is test driving a cognitive intelligence bot using Microsoft Bot Framework to provide real-time assistant services to help investors with investment options in the equity markets. Many financial institutions are investing in new technologies like AI and Big data to improve security standards. Since financial institutions handle sensitive information and investments of thousands of people, security is always a priority. With more cyber-attacks happening than ever, upgraded banking cybersecurity software will be critical in the coming year in order to protect customers/ banks from hackers. In a similar manner, fraud detection is also on AI agenda. Perpetrators of fraud are smart and produce paper trails that look legitimate in the eyes of a human. AI, however, can assist in detecting something that humans cannot. Through AI, financial entities can detect suspicious entities- investigate them- thus, potentially preventing thousands of expensive fraudulent transactions. Copy-cats are common in frauds, this is where machine learning can offer a powerful means of preventing fraudulent activities in the future. JPMorgan Chase introduced a Contract Intelligence (COiN) platform developed to “analyze legal documents and extract important data points and clauses”. Manual reviews of 12,000 annual commercial credit agreements which used to take near 3,60,000 hours now take only seconds. The company also implemented Emerging Opportunities Engine in 2015 which uses automated analysis in order to assist in “identifying clients best positioned for follow-on equity offerings”. Trading algorithms are already used successfully in world’s markets recognizing the staggering speed with which computer systems have transformed stock trading. Even though automation rules the trading world, the most complex algorithms use basic AI reasoning. Machine learning is poised to change the tradition by putting emphasis on making the decision more hard-data based and lesser grounded on trading theories. While humans will always play a role in regulation and for making the final decisions- more and more financial transactions are making their way to computer systems. Plus, given the competitive nature of this field, investment in AI and machine learning will be one of the most defining aspects of the field. Luckily, these technologies have the potential to stabilize and not disrupt, the financial industry- therefore resulting in better job stability (even reducing the probability of market crashes). Aidyia Limited was founded in Hong Kong in October 2011 built to “deploy advanced artificial intelligence technology to identify patterns and predict price movements in financial markets”. While computers are excellent at collecting/ storing data, the cost-efficient storage equals to financial organizations storing more than ever before. Making sense of this information, however, is difficult as humans cannot rationalize big data sets. AI, especially when assisted by a machine learning is adept at detecting small signals within large data sets. This data can be crucial in fields that are competitive as the finance industry. UK-based Arria has developed an NLG software (natural language generation) that is being utilized across a range of industries to “humanize” and simplify the process of analyzing data-heavy reports. Ai is going to have a significant influence on data science use cases in banking- same as it is going to affect finance, healthcare and pharmaceuticals. As most organizations have recognized the importance of big data, there is an unmet need for data scientists – an issue that AI can sort out. One of the best application of AI as of now is to perform the menial work of data analysis (that may be number crunching, finding flaws in investment strategies or a chatbot answering customers queries) – it is the economic solution to make everything run smoother, faster and at a lower cost.